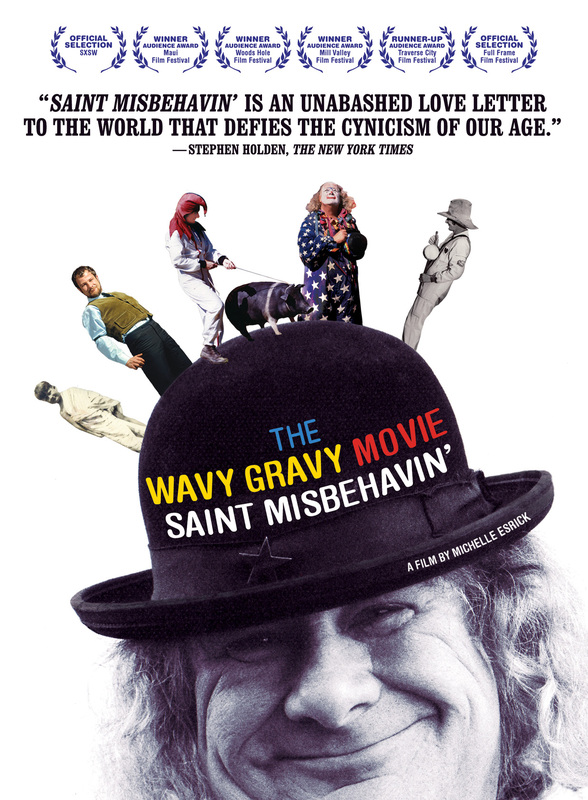 THE WAVY GRAVY MOVIE: SAINT MISBEHAVIN’ takes us on an unforgettable trip through the amazing life and times of poet, clown, activist and FUNdraiser Wavy Gravy. Through candid interviews with Wavy’s family and friends, including Jackson Browne, Odetta, and Bonnie Raitt, and close encounters with Wavy himself, SAINT MISBEHAVIN’ paints a moving portrait of a surprisingly complex crusader for peace, justice and understanding. This riveting film shows how one individual can make a difference – and have fun doing it! Revealing the man behind the countercultural icon, SAINT MISBEHAVIN’ showcases the enormous humanity and intelligence of this Holy Fool and his commitment to basic human needs. From poetry readings in Greenwich Village to an epic bus trip from England to Nepal by way of Afghanistan…from keeping the peace at Woodstock to his present-day mission raising funds for sight-saving operations in developing countries and co-directing a circus and performing arts camp… this entertaining and captivating film shines a fresh light on many of the seminal events of our time and reveals the deep determination of a truly one-of-a-kind individual. 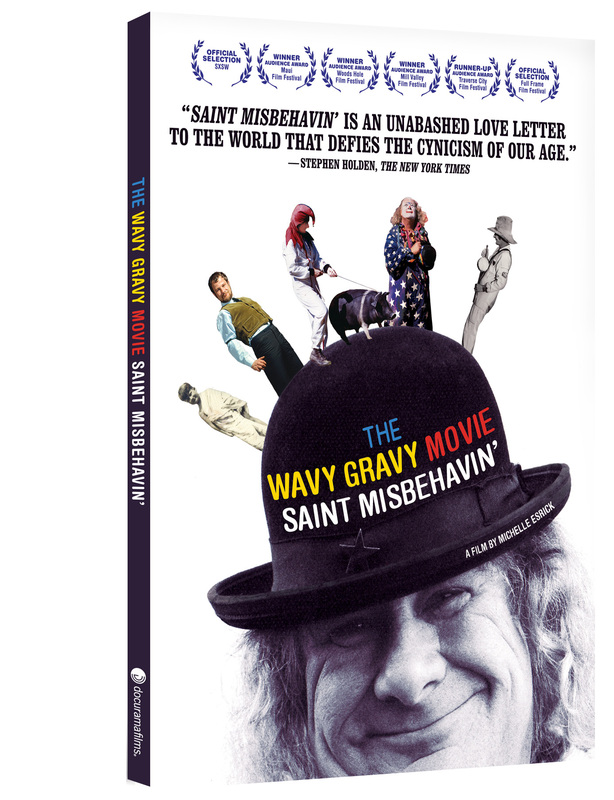 A testament to the sheer joy of living a life of service to humankind and our planet, THE WAVY GRAVY MOVIE: SAINT MISBEHAVIN’ will entertain, enrich and inspire. ©2009 Ripple Effect Films, Inc. All Rights Reserved. Art and Design ©2011 New Video Group, Inc. All Rights Reserved. Marketed and distributed in the U.S. by New Video.